Jonathan MacGregor has a great series on Science Explains Fantasy on his blog MacGregor’s Pen. I love the concept of fantasy elements having a basis in real science so this series is one of my favorites to keep up with. Check out his latest post on weaknesses, and be sure to explore his previous posts in the series too! Even the mightiest of us have our weaknesses. Superman, the embodiment of physical superiority, is reduced to a position of humility in the presence of kryptonite. Many characters in fiction have their own personal kryptonite: werewolves and silver, vampires and sunlight… the list goes on. Below is a picture from Serkworks that highlights the weaknesses of several famous movie monsters and villains. Hoodies and t-shirts featuring this design are available here. 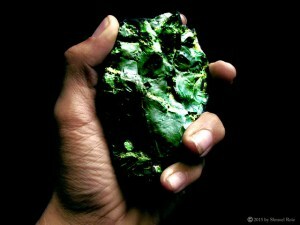 Kryptonite may not be real, but it has become synonymous with weakness. But can we have our own personal kryptonite? The concept of having a personal weakness is far more commonplace than you might think. Next postNail Polish Sunday #2–This time with crystals!